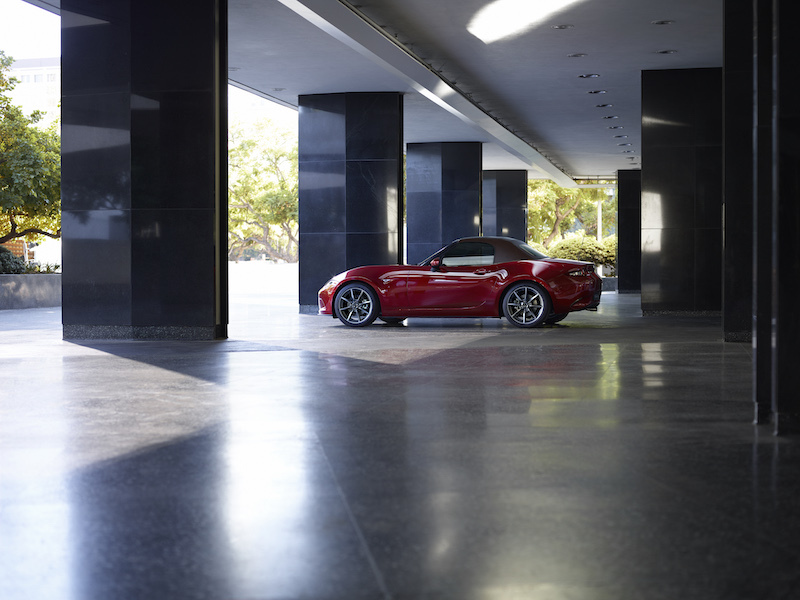 It seems as if only yesterday that the sleek, aggressive fourth generation Mazda MX-5 hit the scene. Well, it does to me, anyway. However, it’s time for an update, with the new model boasting more power, better ergonomics and more technology. Available from the 1st of September, it’ll be priced between £18,995 and £29,195. What do you get for your money though? 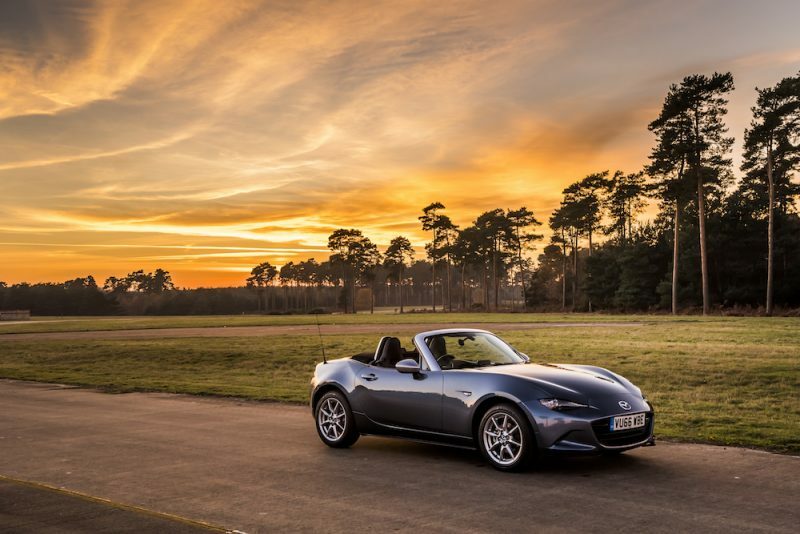 For years, people have banged on about the MX-5 not having enough power, even though that has never been what the car has really been about. Despite, the engineering team at Mazda has been fettling away, and the result is a 2.0 litre petrol engine that has been boosted from 158bhp to 181bhp. This is thanks to revisions to the camshafts and exhaust valves, fuel injectors, throttle valve and air intake. There is also more torque, as well as a higher redline – 7,500rpm up from 6,800rpm – plus a faster 0-62 sprint time. 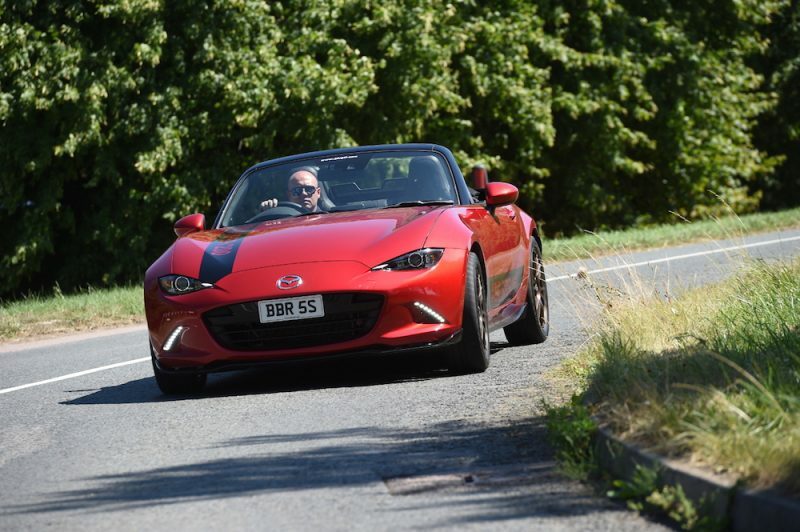 The soft-top will hit 62mph in 6.5 seconds – that’s 0.8 seconds faster than before – and the manual and automatic RF models see a 0.6 and 0.5 second increase, respectively, while tuning of the main silencer delivers a cleaner more powerful engine note. The 1.5 litre petrol has also had some work done to it, meaning that it now produces 130bhp with 152Nm of torque. 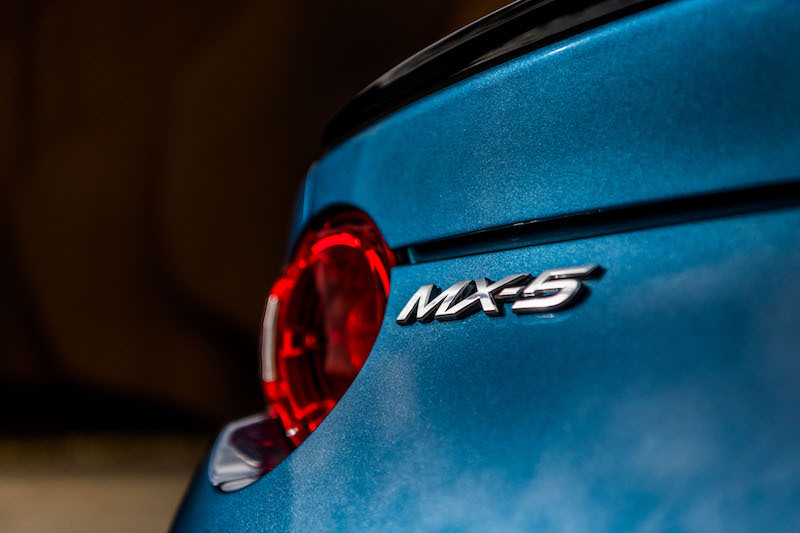 The MX-5 isn’t exactly a difficult car to live with, but Mazda has made sure that the updated version of its fourth generation model will be easier to live with than before. All models will now feature steering wheels with a rake and reach function, whilst the seats have a better sliding function than previously. It’ll be safer too, thanks to front smart city brake support, lane departure warning system, rear smart city brake support, traffic sign recognition and driver attention alert, which are standard on Sport Nav+ models and above. Step up to the GT Sport Nav+ and you’ll get blind spot monitoring system with rear cross traffic alert, adaptive LED headlights and a reversing camera. Normally, a facelift model is a chance to change the exterior design, but on this occasion, Mazda has chosen not to fix what isn’t broken. 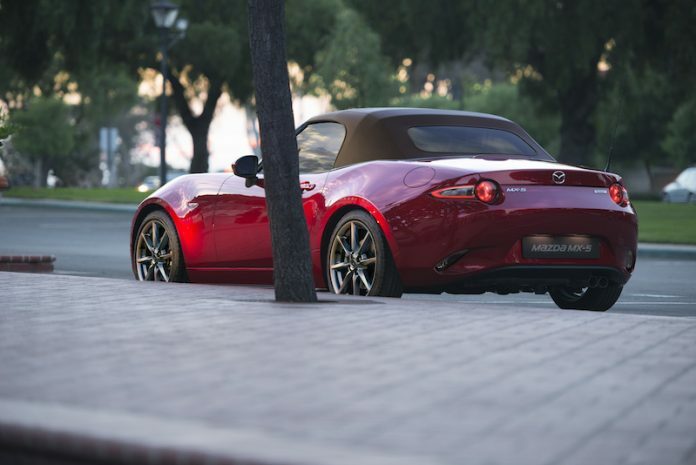 Seeing as it was good enough to win the coveted World Car Design of the Year award, the only changes Mazda has made is to offer different alloys…and that’s it. You know what, that’s fine by me. 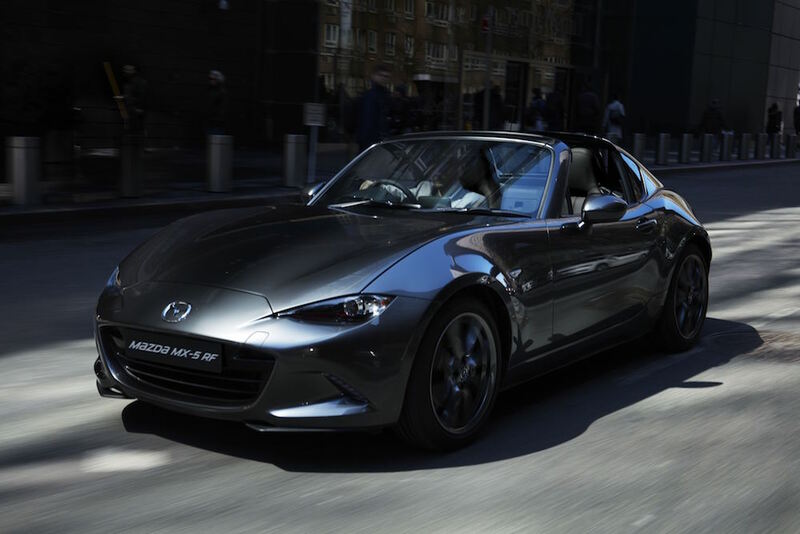 New Limited Edition Mazda MX-5 Z-Sport Announced Mazda Turns Down Thermostat With New MX-5 Arctic Model New Mazda MX-5 RF Starts From £22,195 BBR Gives The MX-5 More Edge Mazda MX-5 First Drive: B-Road Destroyer!